These passages were selected from the Bhaktivedanta Vedabase. I attempted to carefully select passages that will help the reader to gain a better, more in depth understanding of Krsna conscious Bhakti Yoga. Thanks to His Divine Grace A.C. Bhaktivedanta Swami Prabhupada and his followers so much is now available to the public – free or low cost. Please pray for them and try to demonstrate your gratitude for this great gift. Otherwise, please refer to a number of resources regarding Krsna conscious Bhakti yoga that can be found online. Please see a listing at the following address. 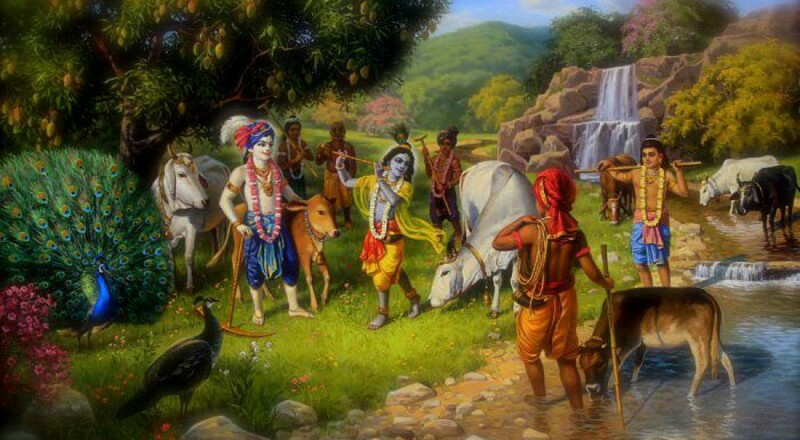 The following passages were looked up in the Bhaktivedanta Vedabase. I used the term “easy” to find these passages.